Bridals by Sandra’s philosophy is to help you plan an elegant and affordable wedding. Since 1965, our award-winning family business has been developing “Wedding Traditions”. We carry hundreds of gowns in all sizes from various National Bridal Magazines. For the discerning bride, we offer customizations creating a one-of-a-kind custom dress. We understand your need for the ultimate in perfect styling and service. As soon as you set the date, it is time to shop for your wedding gown. The bridal gown determines the look for the entire wedding. We suggest the bride selects her gown six to twelve months before the wedding date. Do not stress if you have a “rush” wedding. Because of our excellent reputation, manufacturers will work magic for us…..sometimes in as little as one week’s notice! As a reminder, it would be impossible to carry every manufacturer but if your dream dress is not in our present inventory, we will be happy to locate the dress for you. 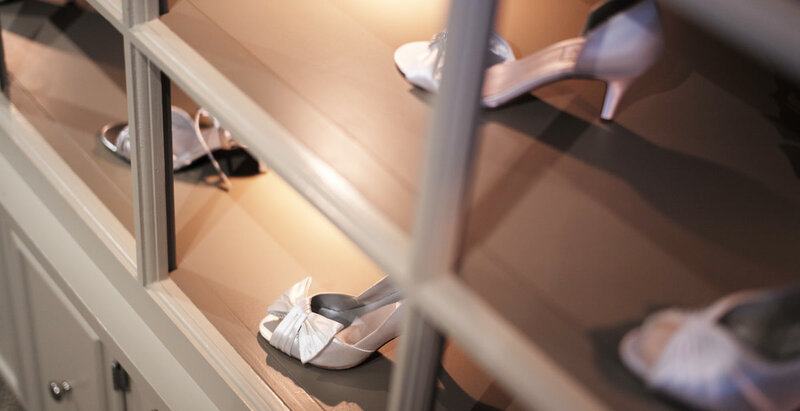 At your first appointment you will be given your own Personal Bridal Consultant along with a spacious dressing room. For that once-in-a-lifetime experience, we want you to feel pampered. To lighten the burden of planning a wedding, your Personal Bridal Consultant will become your “new best friend”. She will help you coordinate all aspects of wedding planning enabling you to have your dream wedding. As you become one of our many (over 50,000 brides we have serviced over fifty years in business) satisfied brides, your Personal Bridal Consultant will offer advice on special discounts for bridesmaids, mothers, tuxedos, invitations. She may also advise you on other details of wedding planning – flowers, cakes, photography, bands, reception sites, travel arrangements – all available at no additional charge. For a minimal charge, she would be available to you on the day of your wedding. After your gown arrives in our store, you will be notified by our receptionist in order to make arrangements for fittings. If you have a preferred seamstress elsewhere, please do not hesitate to tell us. Although we are perfectly fine with you having it done elsewhere, please keep in mind that you are responsible for your dress when you transport your gown outside our store which could result in damage to your dress. If you choose to use our Alteration Department, our Manager has been with Bridals by Sandra for over twenty-five years and has a team of accomplished seamstresses. After alterations are completed, our experienced Pressing Department will complete a final pressing and stored in our fireproof vault until the week of your wedding. Bridals by Sandra’s staff is looking forward to you visiting our showroom in Nazareth, PA. We would love to share in the excitement of planning your special day!